Did you know that toothbrush can be a spot where bacteria easily grow? It said that toothbrush is like a hot bed for bacteria! We did not realize that we don't usually deep clean our toothbrush after every brushing session and usually toothbrush will leave unattended and damp. During the nights as we did not realize either that pest can be lurKing around your toothbrush. To think of how dangerous it is as we put toothbrush in our mouth right. So there is a solution to this. By just hanging your toothbrush in the normal brush protector won't do the job. A award winning product called Steripod is my new discovery. Created to help your toothbrush clean and fresh when you use this with your toothbrush. 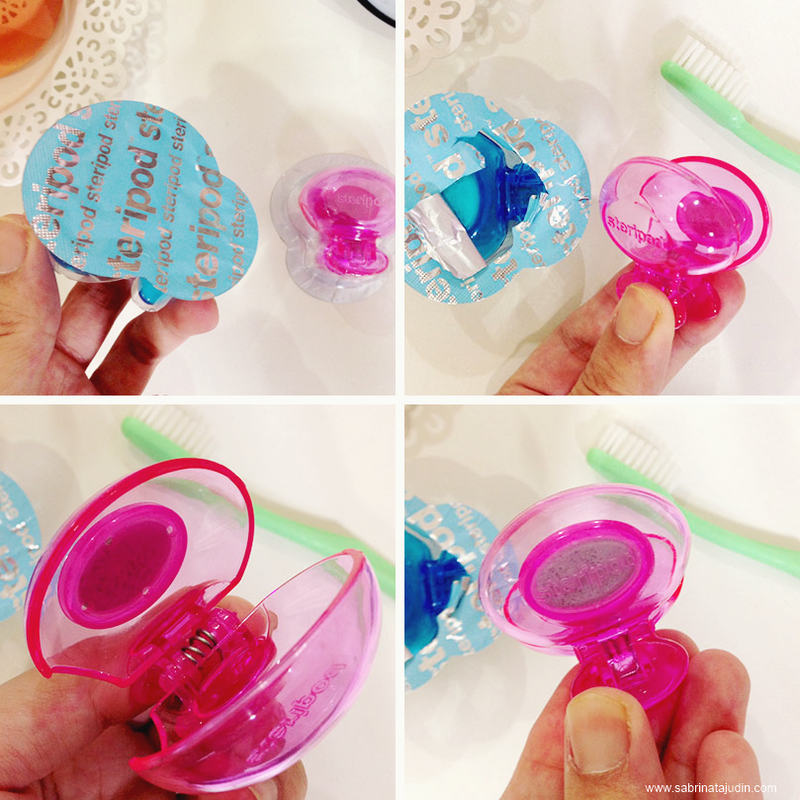 Sreripod (winner of Watsons innovation day), can be use as a protector for your toothbrush head. Not only it protects it also help sanitize your toothbrush from the "active vapors" technology that is built in the clip. You can also use this for your electric brush. It has a standard size for all toothbrush. The "active vapors" are located on the side of the clip as you can see in the picture (the oval grey looking thing). You can clip this on your toothbrush and worry free to bring it anywhere. Make sure your brush is clean and dry before inserting it in the clip. The clip can be use for 3 months, after that it is recommended to be replace to ensure freshness. No batteries needed for this, it is made with a patented "active vapors" that naturally protects your toothbrush. Now with this, your toothbrush is surely clean and ready to be use without any gems on it! This will definitely improve your hygiene routine. Each pack comes in 2 clips. Share it with your family or friends, or simply keep it for the next 3 months as each clip are ship and sealed inside a special packaging to ensure the "active vapors" only activate when you open it. 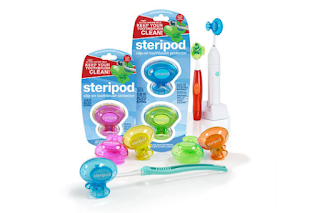 The 'Active Vapors" are enclosed in each Steripod. It is a laboratory formulated thymol compound that is encapsulated in the plastic clip. There is a small holes and it allows the thymol vapors to escape and surround your toothbrush head. The Steripod after 5 days! All of the dirt are sucked! Woahh!